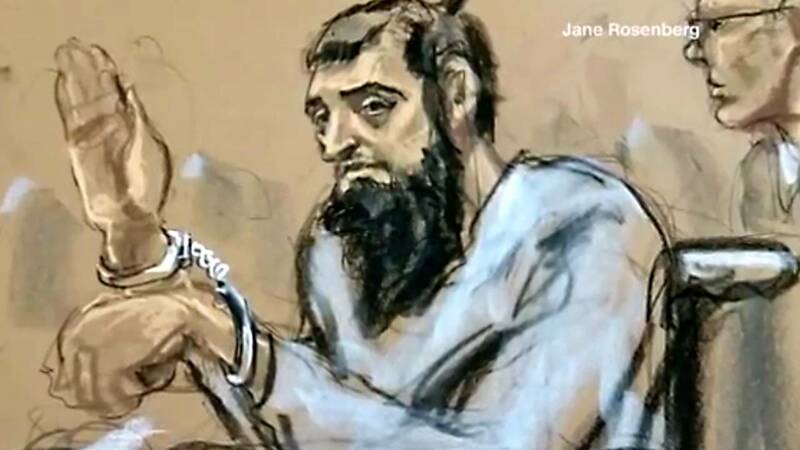 (CNN) - The suspect in New York City's deadliest terror attack since 9/11 has offered to plead guilty in order to avoid the death penalty, according to a new court filing from the suspect's defense attorneys. Sayfullo Saipov, 29, has been charged with killing eight people and injuring a dozen others after he drove a pickup truck down a bicycle path near the World Trade Center on October 31. Saipov faces a 22-count indictment, which includes murder and terror-related charges. He has pleaded not guilty. In the filing, Saipov's attorneys say that with the amount of discovery the government has already produced in the case and the procedural requirements associated with pursuing a death penalty charge, the case could stretch on for years. His attorneys write, "The most straightforward way to achieve closure would be for the government to accept a plea of guilty and a sentence of life imprisonment without the possibility of parole." Saipov's attorneys -- David Patton, Jennifer Brown, Annalisa Miron and David Stern, all New York Public Defenders -- say the government has already entered a "voluminous" amount of evidence in the case, including 981 audio files and over 1,800 video files. Much of the evidence is in Uzbek and Arabic, the letter says. Saipov came to the United States from Uzbekistan in 2010 and was living in New Jersey before the attack. The attorneys argue that the amount of evidence in the case, the extra time required to find a jury to try a death penalty case and the actual trial itself, which would include testimony from witnesses and victims, all make pursuing a death penalty sentence a time-consuming and possibly painful process. If the government does pursue the death penalty, Saipov's attorneys believe a trial cannot begin until at least September 2019, almost two years after the attack, the letter states. "In short, a decision by the government not to seek the death penalty would bring immediate closure to the case without the need for the public and victims to repeatedly relive the terrible events of October 31, 2017," the letter says. Saipov was arrested during the incident. After his truck hit a school bus, stopping it in its tracks, he exited the vehicle, and a New York police officer shot him. Saipov told investigators he was inspired to use a truck by ISIS videos, and chose the vehicle "to inflict maximum damage against civilians," according to a criminal complaint. Investigators found about 90 videos and 3,800 pictures, many of which were ISIS-related propaganda, after searching two of his cellphones, the complaint says. "The length and type of trial in this case, and whether there will be a trial at all, will depend greatly on whether the government seeks the death penalty," Saipov's attorneys say in the filing. CNN did not receive a comment from the US Attorney's Office for the Southern District of New York.